I am currently working on a hymnal project, which—among other things—entails pouring through thousands of pages from old Catholic hymnals. Some hymns I discover are sentimental and low quality, while others are quite inspiring. Whenever possible, I’ll share these books with our readers. Some of our planned releases will astound you! On the other hand, some books are interesting primarily from a Catholic historian’s point of view. 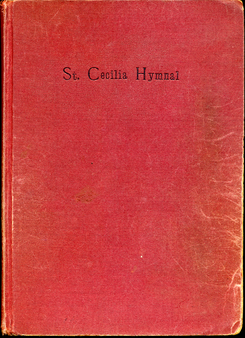 Like all the books we release, this extremely rare hymnal was previously unavailable until we scanned and uploaded it.